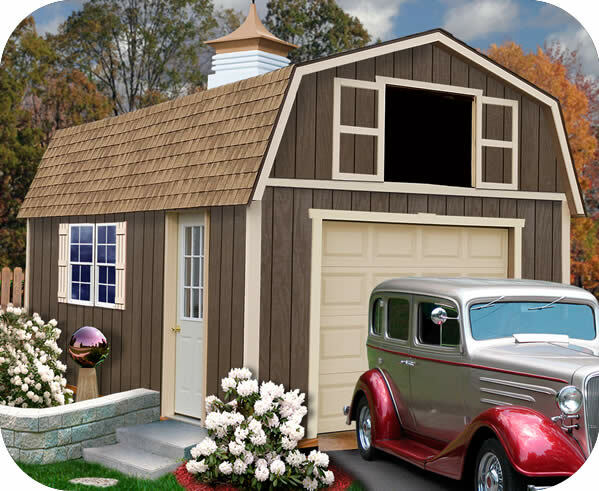 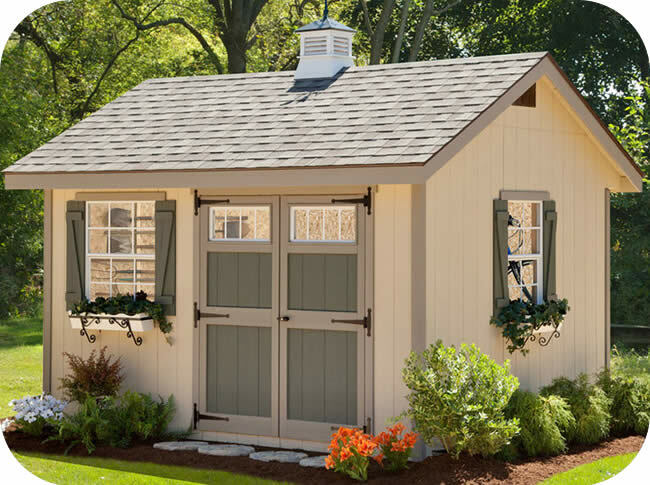 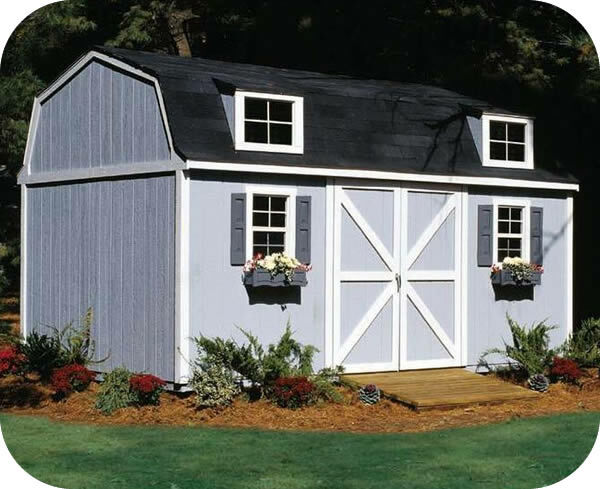 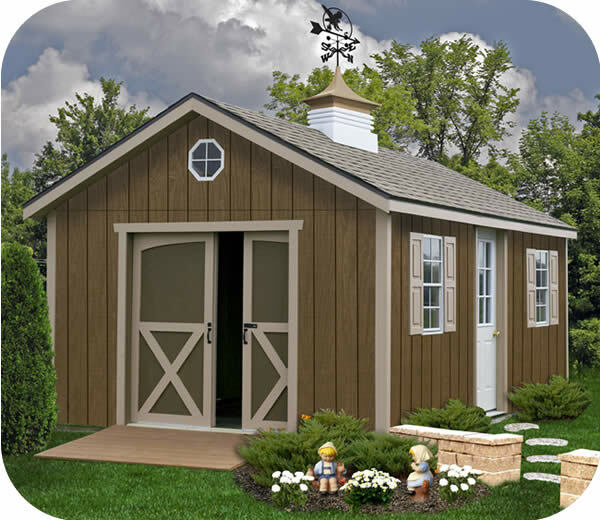 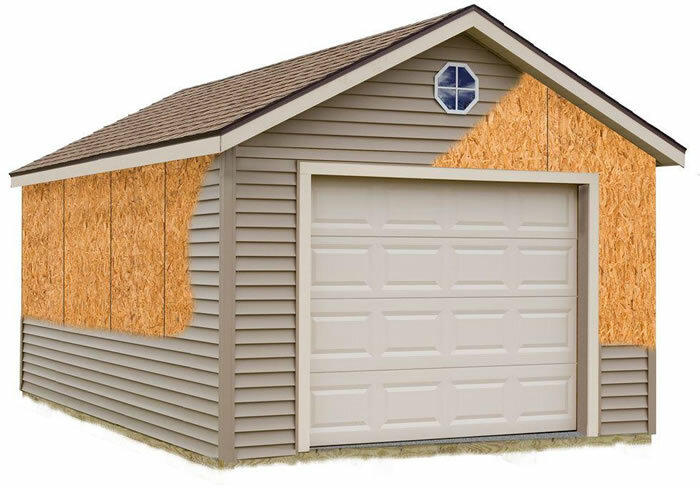 Wood Outdoor Storage Sheds: Your ultimate customizable wooden building awaits! 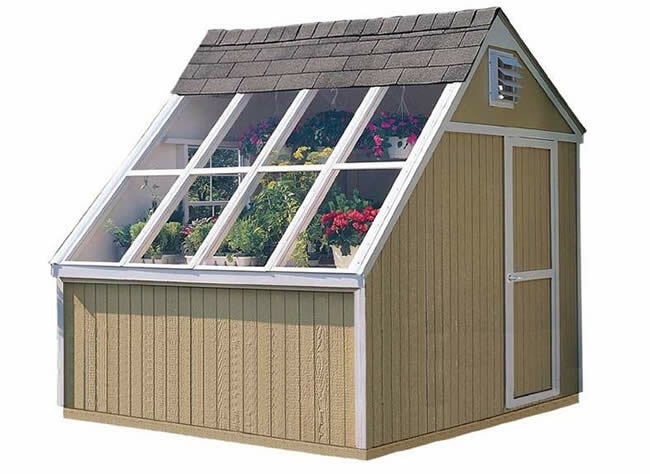 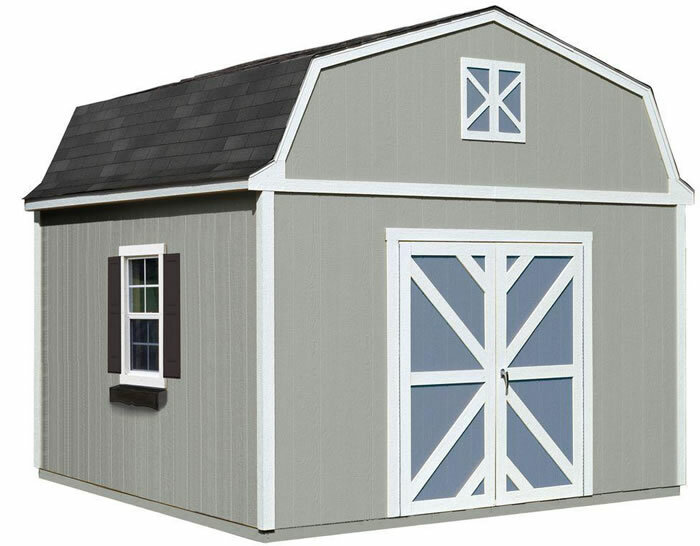 We offer Arrow, Best Barns, EZ-Fit and Handy Home Products brands wood and wood like storage sheds. 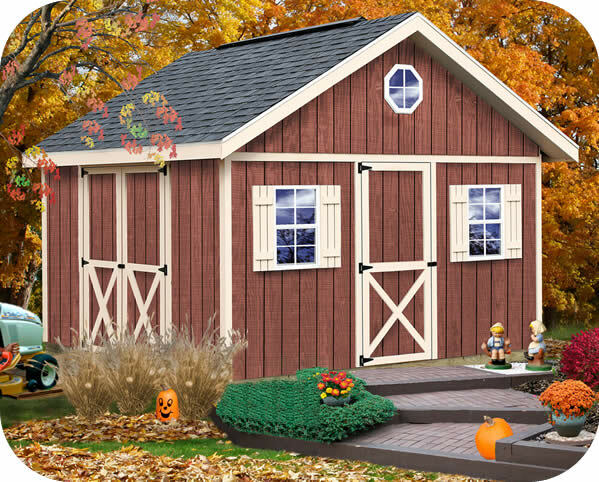 If you're looking for a premium all wood storage shed kit, All Pre-Cut Best Barns sheds, EZ-Fit sheds and Handy Home Products sheds are excellent choices! 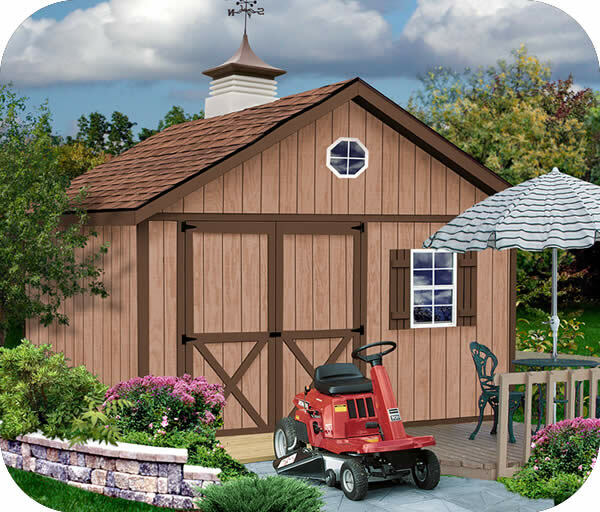 All Pre-Cut Best Barns sheds, All EZ-Fit and All Handy Home shed kits come with everything pre-cut and ready for assembly. 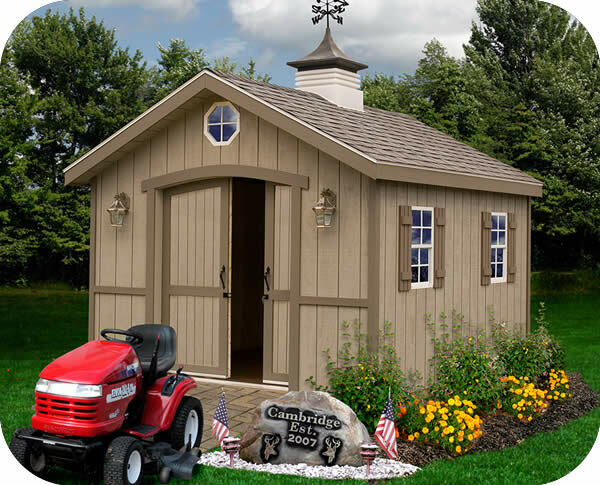 Every wood shed kit comes with easy to follow do-it-yourself instructions to help you build a one of a kind beautiful outdoor storage area. 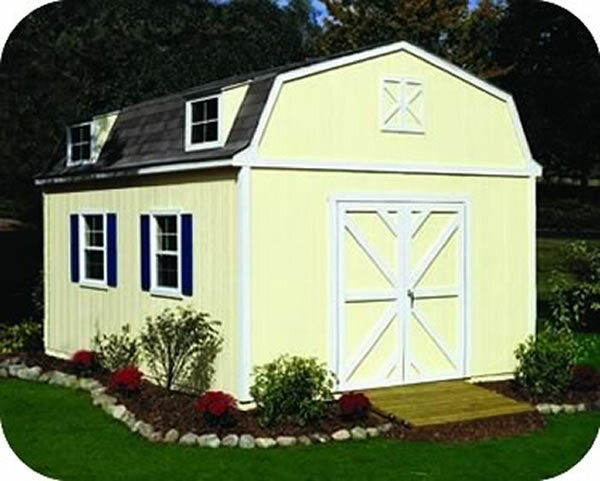 Similar to the All Pre-Cut line from Best Barns we also offer the basic model labelled Best Barns which is also made by Reynolds Buildings Inc. Our Best Barns line of wood sheds is very similar to the All Pre-Cut sheds except they need a couple extra hours of work and can save you a few hundred extra dollars! 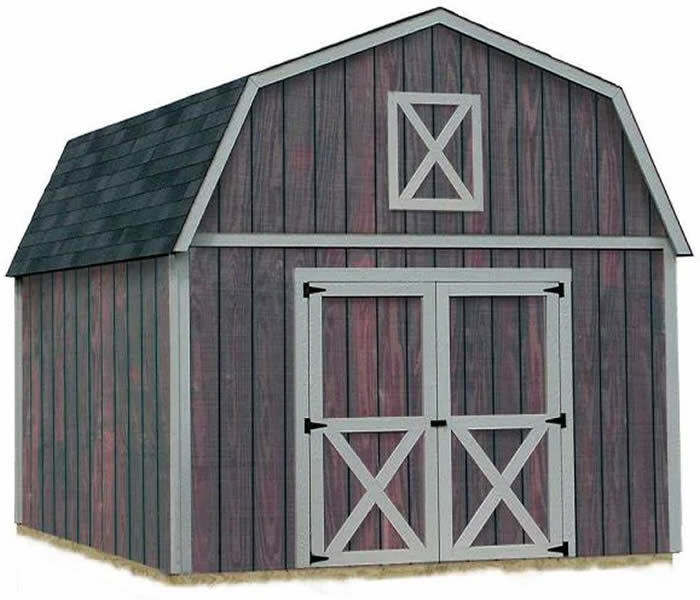 Best Barns not labelled All Pre-Cut will require straight cuts to complete the roof and siding. 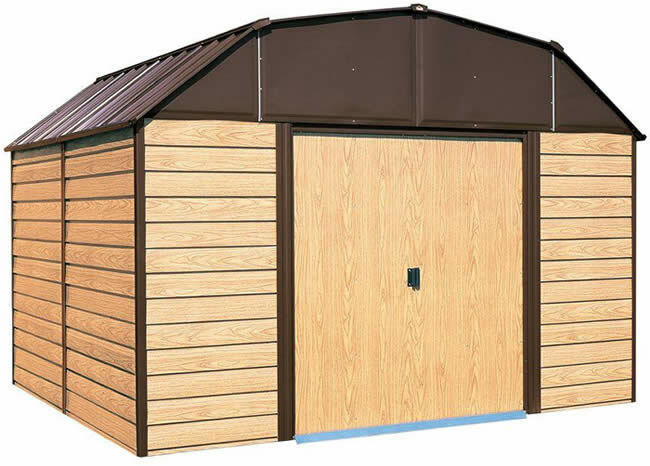 For an even more cost effective wood shed look we've also included some of our metal, wood like sheds from Arrow sheds for someone just wanting the look of wood with a lower price tag. 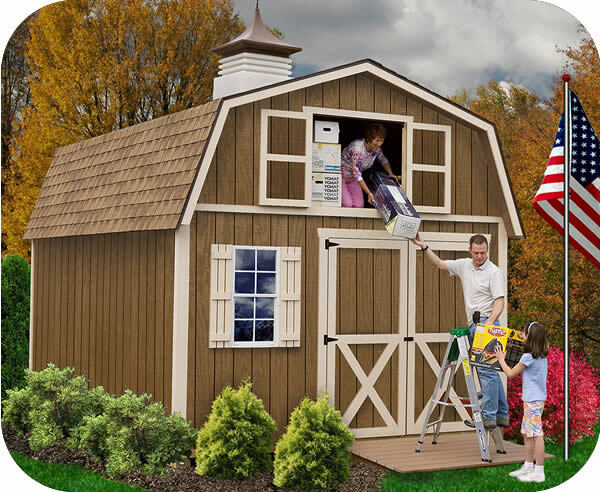 Buy your new wood shed today and get that storage problem solved! 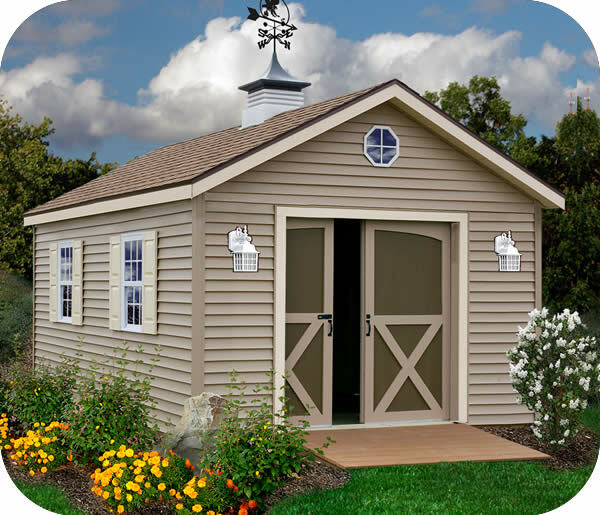 For helpful information and answers to frequently asked questions about our buildings read helpful articles about our sheds. 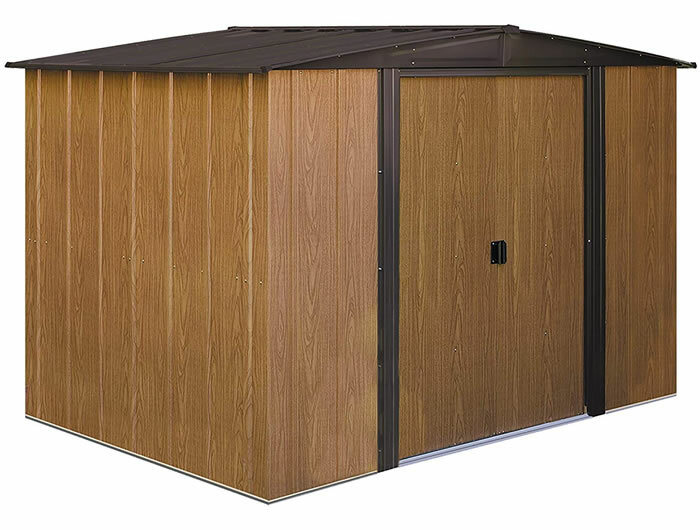 If you have questions about our wood storage buildings please contact us and we will do our best to assist you! 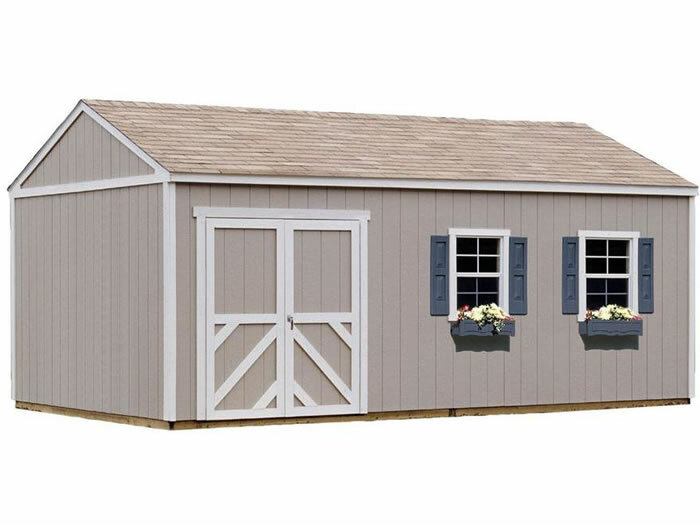 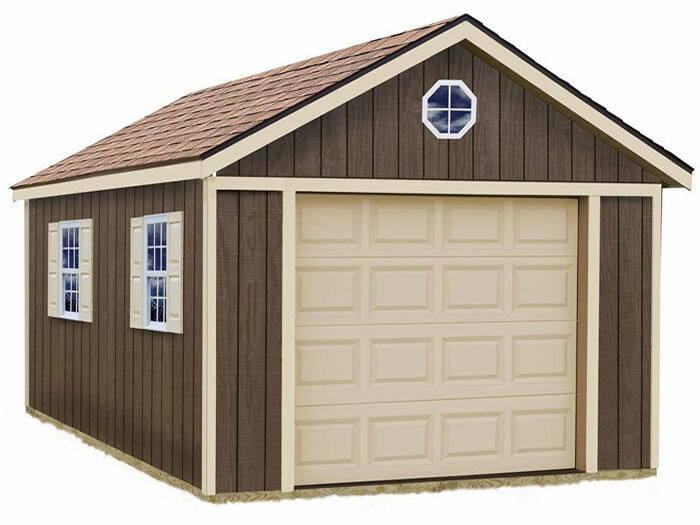 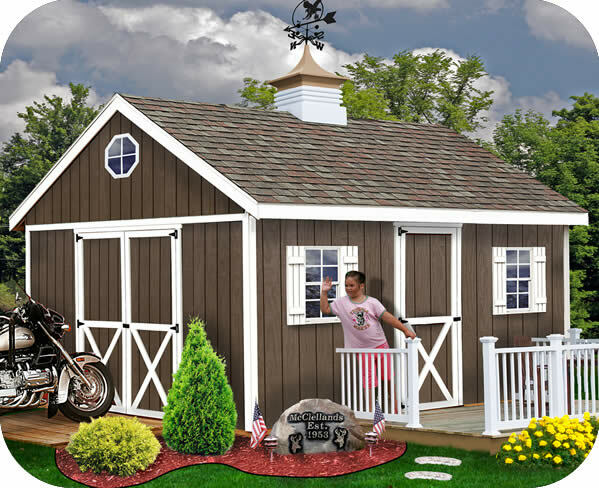 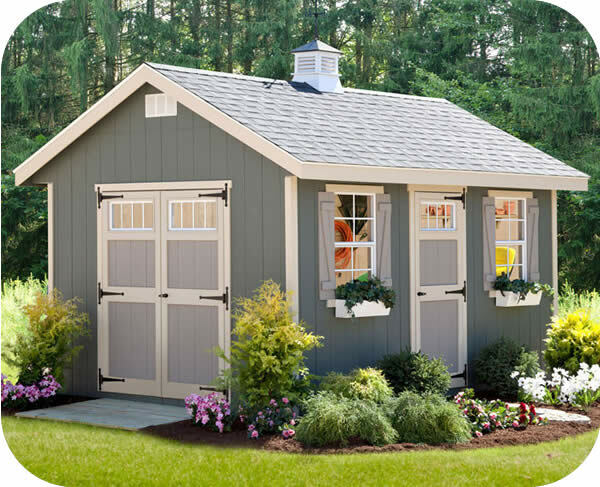 Add a single stall storage garage to your backyard with our 12x16 Sierra wood garage shed kit from Best Barns! 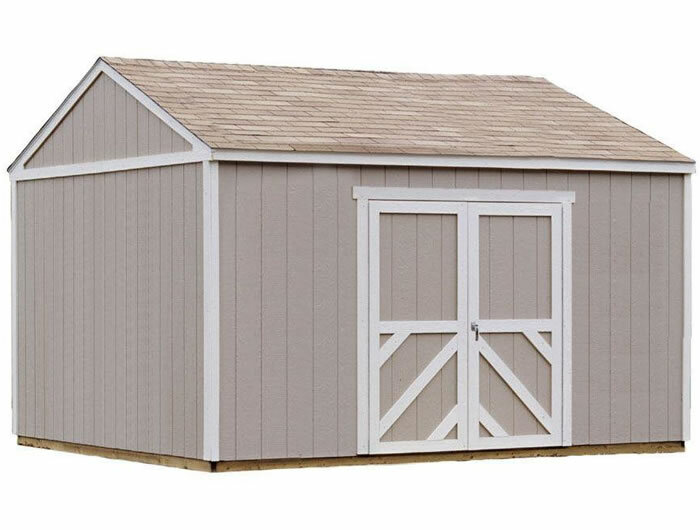 Everything is pre-cut! 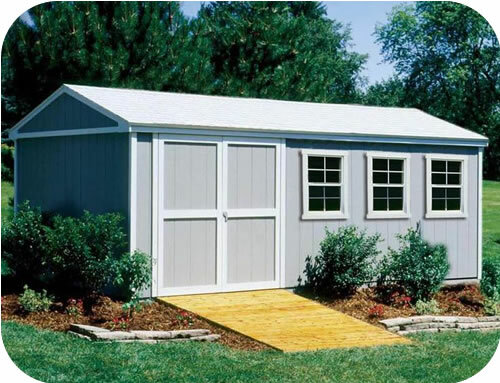 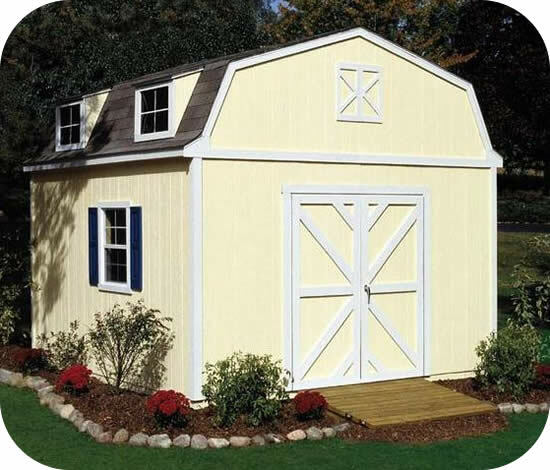 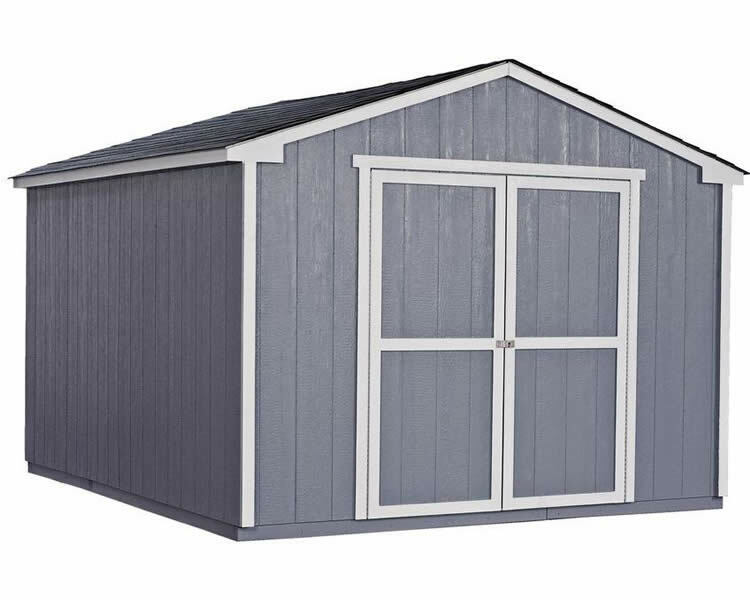 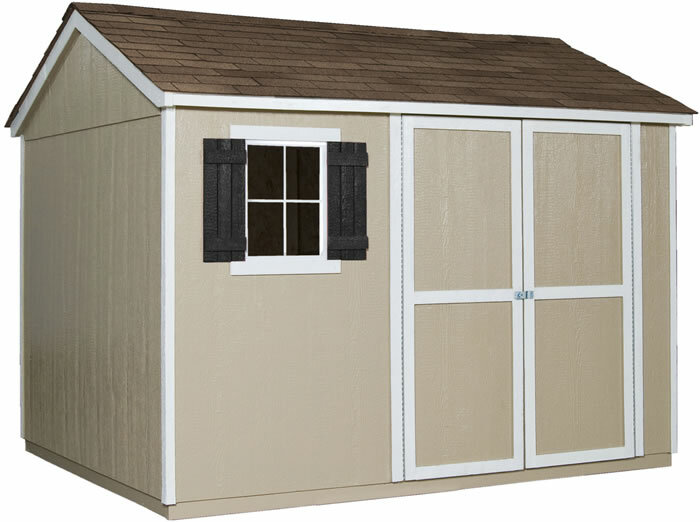 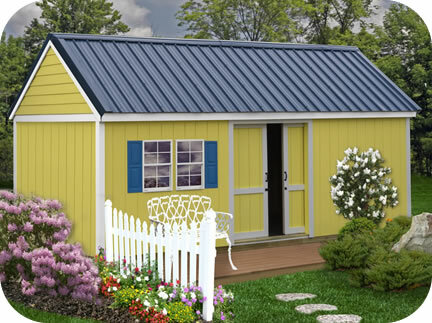 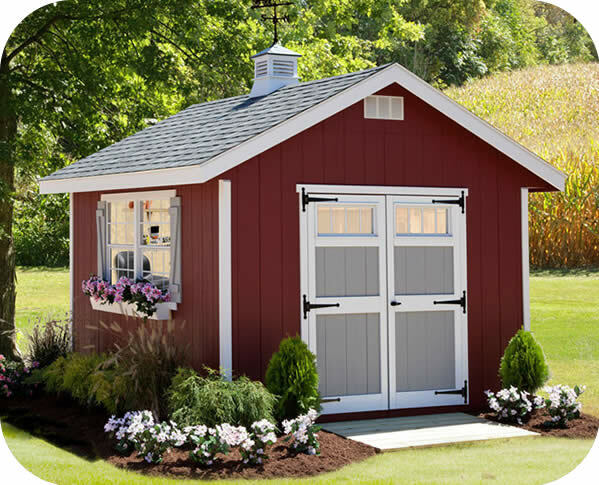 Fairview 12x16 storage sheds have a convenient single door on the front and double doors on the side. 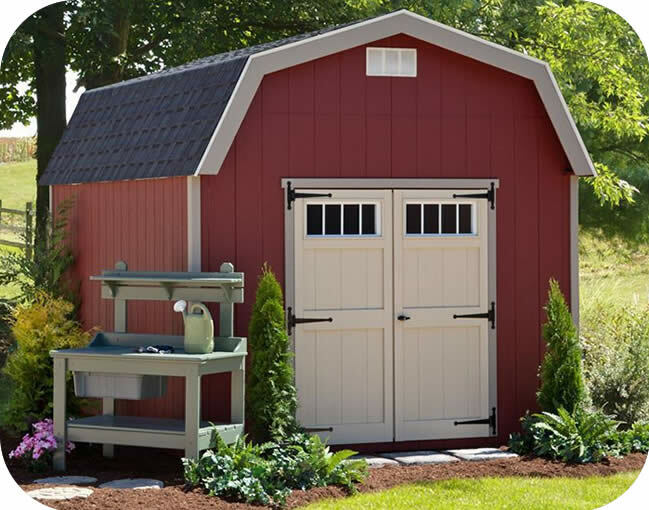 These wood sheds are ready to paint!